Helmets off to the Sunnyside Sports Racing Team. Ian Boswell We’re so proud of Ian–we feel like we helped grow him from scratch! Ian’s father Grant worked at Sunnyside back in the day, and we’ve seen Ian through lots of bikes and teams over the years. We see Ian often when he’s in town, and we are grateful for his support of our store and of the Tour des Chutes. Chris Horner: Chris may be retired now, but we still get a thrill when the winner of the 2013 Vuelta de Espana walks in the door. Chris makes his home in Bend, so we get to see him and his bikes often during the off-season. Chris and his wife Megan have been a wonderful supporters of Sunnyside and the Tour des Chutes over the years. We’re always cheering for Chris. Linsey Corbin Linsey got her first road bike from Sunnyside Sports. And look at her now! Click here for Linsey’s reflections on her Sunnyside Sports bike. Matt Lieto Matt is always a nice face to see in the store, and he keeps us up to speed on the latest TT bike technology from Trek when we work on his bikes. Ryan Trebon We see a lot of Ryan and his tall, tall bikes. Barry Wicks We set Barry up for bike and ski stuff. Always good to see his mop-top in here. Mary McConneloug We seldom get to see Mary, as she spends most of her time overseas, but we are proud to say we knew her when. We helped Mary out when she first started bike racing in Bend, and she’s always been a shop sweetheart. Adam Craig Barb counts building wheels for Adam Craig as one of the highlights of her mechanical career, and we would have to agree. Always great to take care of Adam in the shop. Carl Decker Another homegrown. 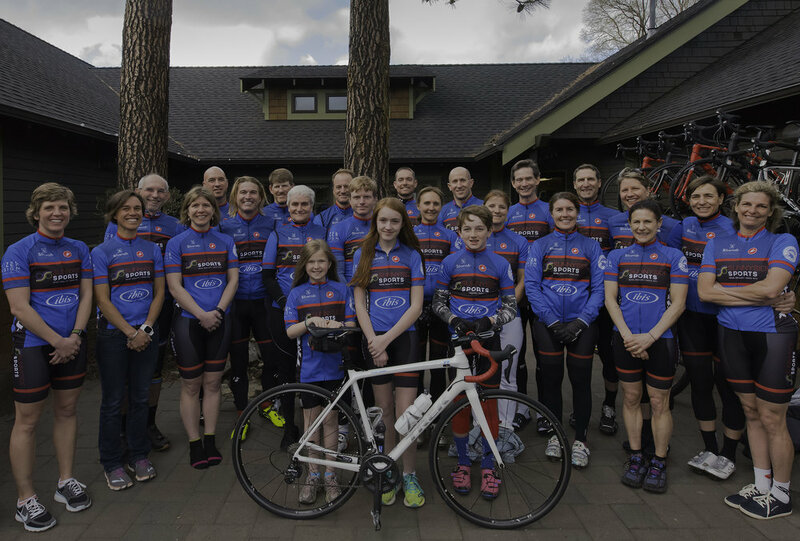 We’re proud to have provided the Decker family with bikes for the past 30 years. Here’s a shot of Carl rocking a Sunnyside Sports kit back in the day. Emma Maaranen We’ve enjoyed working with Emma since her recent move to town. She’s training on a Trek Top Fuel 9.8 this spring, and we’re happy to include her in our pro family!